Please Read the instructions carefully before submitting your tune form. Be sure not miss anything that will cause delays in providing your tunes. 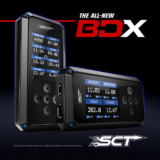 SCT / Bully Dog Product users – Please be sure to include Axle Ratio, Strategy, and Device Serial Number. IMPORTANT! READ THE LINK Below on How to Find your Vehicle, Axle Ratio, and Device Serial Number. If you cannot seem to find your .sul file please contact SCT or Bully Dog tech support and they will help you. Disregard Strategy and Device Serial number. Enter DiabloSport in both of those items on the form. Disregard Strategy and Device Serial number. Enter Diablo Sport in both of those items on the form. 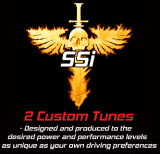 Thank You and we look forward to serving you with the best tuning possible!